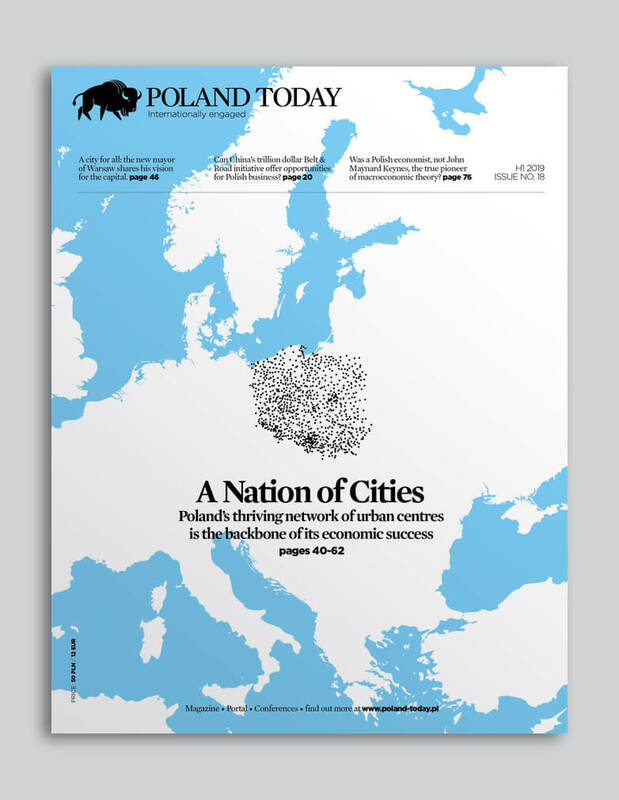 A haven of home, work and community in the heart of Warsaw. 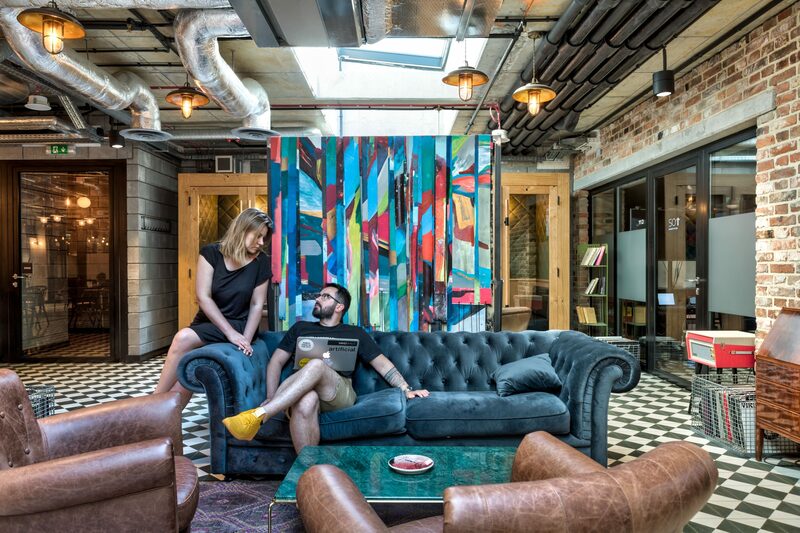 Co-working offices are increasingly common on the professional urban scene. In early 2018, the average share of flexible office space in Europe’s office stock reached 7.5%, almost three times higher than in 2016. Warsaw alone is now home to over 100 co-working locations, with Mindspace being one of the first and biggest. This summer, Poland Today dove straight to the core of the Warsaw office and talked to its Senior Community Manager. Michał Kwinta didn’t know what to expect when he first arrived at Mindspace. Fresh out of law school, he had taken a sharp change in career paths when he decided not to become a lawyer. Mindspace was still a young company, just three years old at the time, and the location in Warsaw was still under construction — two weeks away from its grand opening. At first, Kwinta found himself surrounded by builders, designers, vintage furniture, tools, and paintbrushes. He was amazed by the workers’ ability to finish the project on time and bring radiant life to a previously dull building. He fell in love with Mindspace instantaneously. “It was the busiest two weeks I’ve ever had in my life,” he recalled. “The team was very focused on the opening. They gave us amazing vibes, and we knew that we were doing something outstanding and unique because it was the first location in Poland.” Mindspace was a growing company with eight locations worldwide when Kwinta joined the Warsaw branch in 2017. Since then, expansion has continued at an impressive rate — the business now boasts 27 locations worldwide. Mindspace is known for its “co-working space.” Its website advertises it as “gathering a myriad of startups, freelancers, and businesses of all sizes under one roof in a shared environment, which promotes creativity, the creation of a community, and the sharing of ideas.” It offers a variety of membership plans and office sizes tailored to meet the unique needs of every business from one-man startups to large corporations. Members also receive access to all Mindspace locations around the world if traveling for business. The attitude of “collaboration” is written not only into the company’s mission statement, but also in its aesthetics. Upon entry, one is immediately greeted by a modern lobby clothed in hipster street art murals and textured surroundings — in other words, the trendiest coffee shop in town. Floors of offices stack together like layers, but no two layers are the same. Each level glows with different colours, different furniture, different artwork. One level houses the communal coffee bar, where a barista makes free drinks upon request for all Mindspace members. The offices themselves range in size — there are solitary desks for single-person operations, and businesses with 2-11 employees receive enclosed spaces with glass walls. Special accomodations can be made for offices with up to 100 employees. A few sections of glass are frosted for privacy, but a great deal of wallspace is purely transparent, adding a distinct element of “co-working” to the collaborative atmosphere. For quieter interactions, there are sound resistant cubicles (often called “telephone booths” for people who wish to make private phone calls) and conference rooms open to all members. Each floor also offers comfortable social areas — lounge sofas or armchairs encircling sleek, polished coffee tables atop beautifully patterned rugs. In addition to providing office spaces, Mindspace also hosts events. Its social spaces and meeting rooms provide a convenient atmosphere for business meetings, networking events, invitational gatherings, and celebrations. Mindspace even offers a special “event” membership for individuals who don’t need an office but still wish to take part in community events across all Mindspace locations. Mindspace’s Warsaw branch has hosted a great deal of successful events, from “Yoga for work-life balance,” an in-office yoga workshop for stress relief, to “Kawka o eCommerce,” an event created for brainstorming eBusiness and global business ideas. To encourage a sense of international collaboration, English language is another important element of the Mindspace community. “Most people speak English; that’s why we print our event posters in English,” Kwinta explained. Mindspace’s co-working design allows its members to work in unusual business settings. As a freelancer, you could work next to the head of a global company and learn new skills on a daily basis. “You can meet people from completely different environments, completely different companies, or completely different worlds,” said Kwinta. The Mindspace Warsaw branch displays a huge diversity of companies, from small agencies like Deaf Respect, a company that works to promote greater awareness and respect for deaf individuals, to international government agencies like the British Embassy Warsaw’s Department for International Trade. Regarding Mindspace, Russell Towlson from the British Embassy Warsaw’s Department for International Trade, shares Osytek’s positive opinion — “we love the design, the atmosphere is quite relaxed, it’s comfortable, it’s conducive to creative thinking. We’ve held an event downstairs already, and we don’t normally do events. It’s certainly made us think a little bit outside- the-box in terms of what we were doing before. Just having people around and seeing what people are doing gives you ideas.” The chill atmosphere, mixed with urban decor and comfortable furniture makes Mindspace the perfect place to work and meet like-minded people. Deaf Respect: a small agency thriving in Mindspace. Deaf Respect is a research and marketing agency that collaborates with companies to build social awareness of deaf people, a social and linguistic minority. “The deaf are amazing people who are not understood. Their perspective is not considered very often,” said Aga Osytek, founder of Deaf Respect. Her agency also collaborates with companies that want to adjust their customer service programmes to accommodate deaf people. “People say the deaf are disabled,” Aga explained, “although I don’t like this expression; I prefer ‘differentabled’.” Most deaf people don’t consider themselves as disabled, but as a cultural and linguistic minority, or foreigners in their own country. Mindspace membership includes 24/7 office access at any location worldwide, fast and secure internet, event space, phone booths, coffee bar, networking events and fully furnished spaces including a kitchen and lounge area. Cities with Mindspace locations worldwide: London, Munich, San Francisco, Washington DC, Berlin, Hamburg, Tel Aviv, Warsaw, Frankfurt, Amsterdam, Utrecht, Bucharest and more. Mindspace is a Partner of the Future of Warsaw film.